Dieu tout-puissant, avant qu’il ne souffrît sa passion tu as révélé sur la montagne sainte, la gloire de ton Fils unique: Puisque nous contemplons par la foi la lumière de son visage, accorde-nous la force de porter notre croix, et de refléter de plus en plus l’image de sa gloire. Par Jésus Christ, notre Seigneur, qui vit et règne avec toi et le Saint- Esprit, un seul Dieu, dans les siècles des siècles. Amen. O Gott, der du vor dem Leiden deines eingeborenen Sohnes seine Herrlichkeit auf dem heiligen Berg enthüllt hast: Gewähre uns, dass wir, die wir im Glauben das Licht seiner Erscheinung betrachten, gestärkt werden unser Kreuz zu tagen und verwandelt werden in seine Gestalt von Herrlichkeit zu Herrlichkeit; durch Jesus Christus, unseren Herrn, der lebt und regiert mit dir und dem Heiligen Geist, ein Gott, von Ewigkeit zu Ewigkeit. Amen. 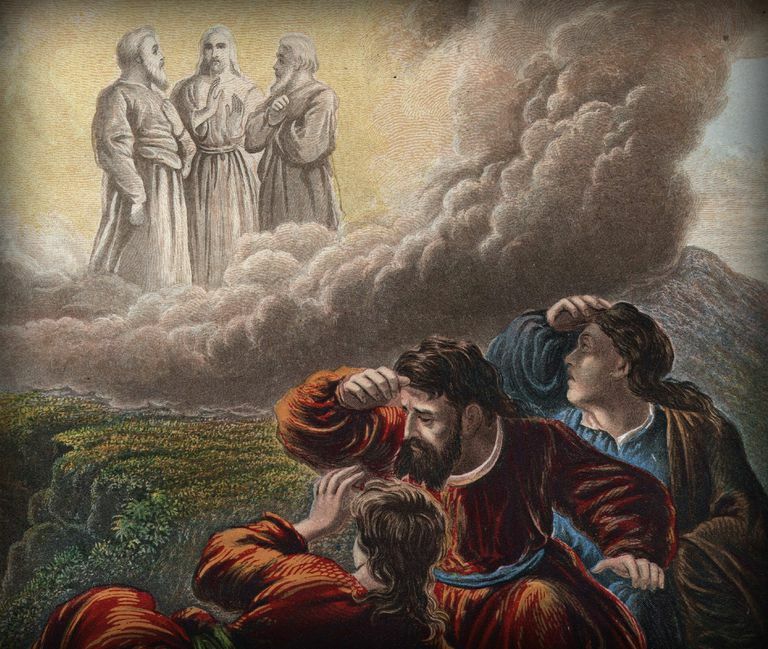 O Dio, che prima della passione del tuo unico Figlio prediletto rivelò la sua gloria sul santo monte: concedi che noi, contemplando per fede la luce del suo volto, possiamo essere rafforzati per portare la nostra croce ed essere simili a Lui nella gloria; per mezzo di Gesù Cristo nostro Signore, che vive e regna con te e lo Spirito Santo, un solo Dio, nei secoli dei secoli. Amen. Join us May 3-5, 2019 in Haus Sankt Ulrich in Augsburg, Germany. This year's program on “Experiencing the Holy” addresses various aspects of life in the Church – formation, welcome, music, teaching and spirituality. How do we understand what we are doing in and for the worship service, and how do we interact with others? 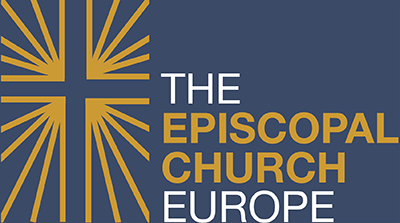 How do we enhance worship in our own parishes and missions? EICS will pay for lodging, food and travel for up to 3- 4 persons per parish/mission. 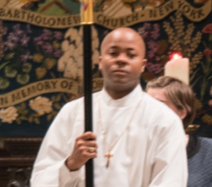 Jean Dumond Chavanne is scheduled to be ordained at the American Cathedral of the Holy Trinity on Sunday, March 3, at 11 a.m. Dumond came to us as an ordinand of the Diocese of Haiti where Bishop Zaché Duracin is the current Bishop. However, he was later accepted into our ordination process, being sponsored by the Cathedral in Paris. 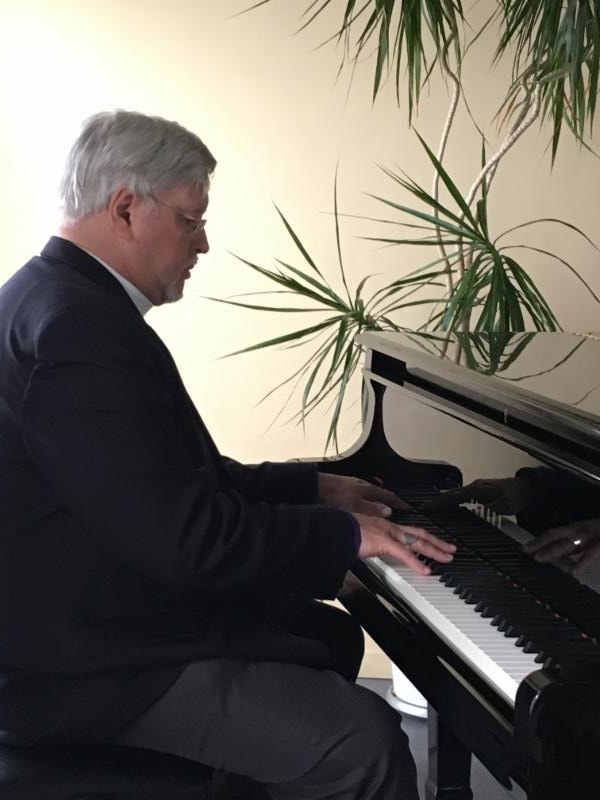 During his time in France, he has completed both a master in pedagogy as well as theological studies at the Institut catholique and the Institut protestant de Paris. 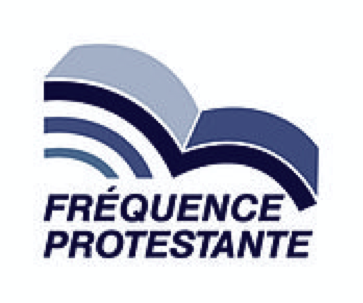 In the summer, the European Institute of Christian Studies (EICS) administered the General Ordination Exam (in French) and has certified his formation. Dumond and wife Rolande are active parishioners at the cathedral. Dumond and his family hope one day to return to their homeland and serve the Church as priest and teacher. The Rev. 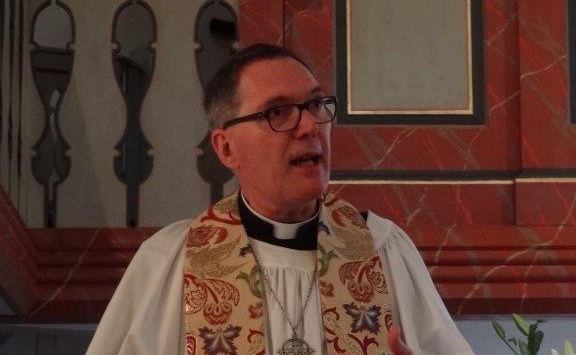 Canon Christopher Jage-Bowler is the chaplain of St. George’s Anglican Church in Berlin, a chaplaincy of the Church of England Diocese of Gibraltar in Europe. Born in Northampton, he studied theology in Cambridge and India before he was ordained at Bristol Cathedral. 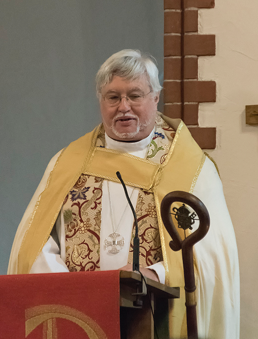 He is the long-term co-chair of the Council of Anglican/Episcopal Churches in Germany. 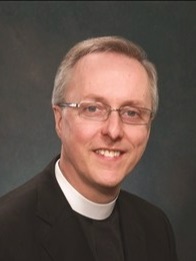 For many years Christopher was the area dean for Germany. He is specifically interested in inter-religious dialogue and spirituality. In 2006 Christopher introduced the ‘Pfarrer vs. Imame’ (Pastors vs. Imams) inter-religious football game in Berlin. 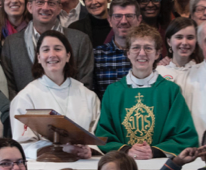 Everyone is invited, especially to the Celebration of Ministry on Friday, April 5 and of course to the Ordination and Consecration service on Saturday, April 6. You will find a full timetable for the weekend below. Registration is requested for ALL attendees. To register, simply follow link button below to the online registration. Please register as soon as you can, so the organizers can plan properly for the weekend events. Parishes and missions are requested to bring culinary specialties with them for the celebration on Friday evening, and they have received an email from the transition committee to this effect. We also ask that all parishes and missions bring their banners with them, as they will form part of the procession into the cathedral. 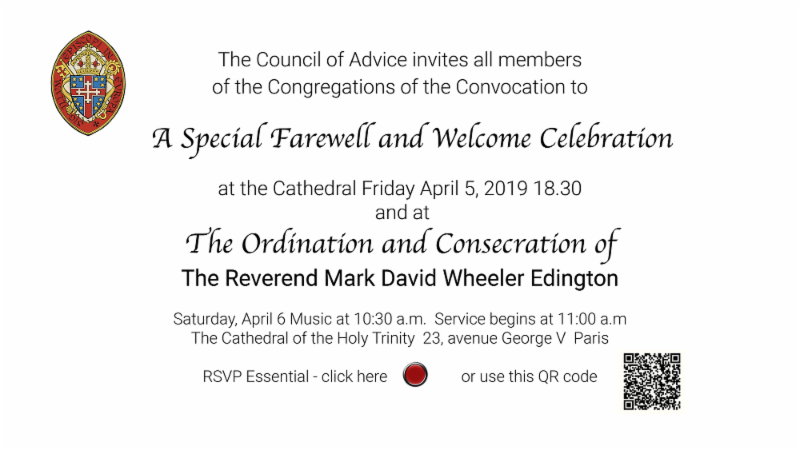 The whole Convocation is invited both to the farewell and welcome celebration on Friday evening and to the Ordination and Consecration on Saturday! ﻿ The chairs and members of the Council of Advice and the Search and Transition Committees will be acting as hosts. 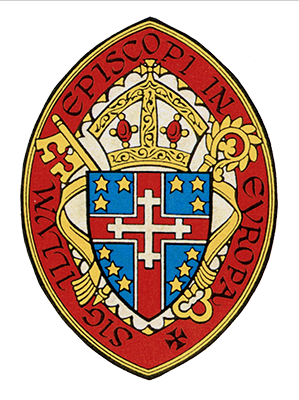 We hope especially to see the lay and clergy leadership of all our parishes and mission congregations, as well as leaders and members of all the Convocation commissions and committees. We ask that the parishes and missions please bring their banners with them again. For clergy and clergy spouses and partners there is also an additional event on Friday morning. If you are planning on coming, we suggest that you start making arrangements for travel and accommodation now! We have not pre-booked any hotels, but the various hotel and travel websites all have good offers … if you book in time. Here is a list of hotel options near the cathedral. 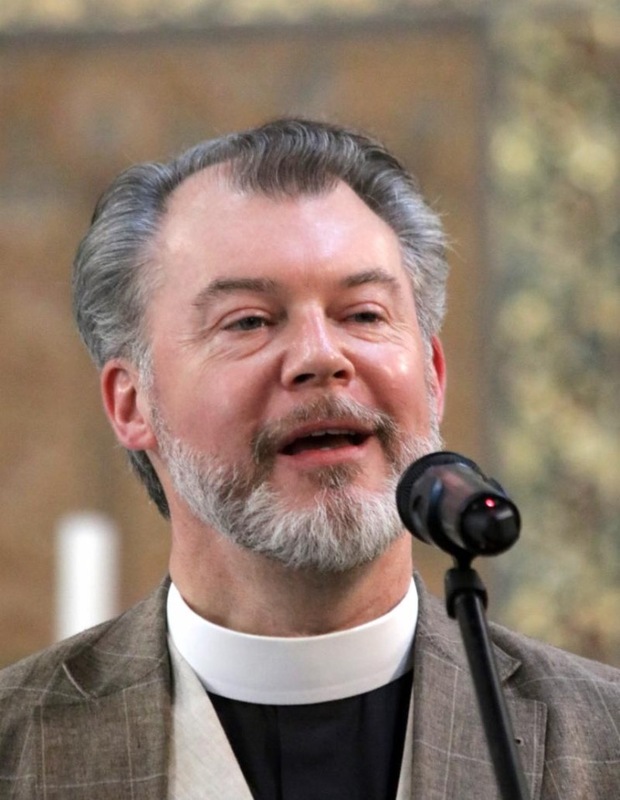 4:30 p.m. Clergy invited to join BFP for meeting and reception. 8:30 a.m. Council of Advice meeting. 10:00 a.m. Press briefing (Presiding Bishop and Bishop-elect). 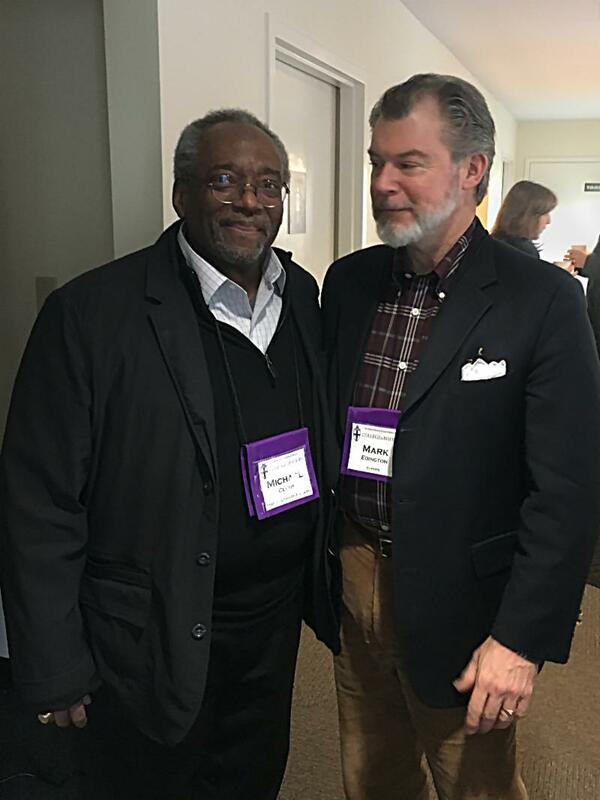 11:00 a.m. Presiding Bishop meets with convocation clergy.Convocation clergy spouses/partners meet with Bishop spouse and Bishop-Elect’s spouse. 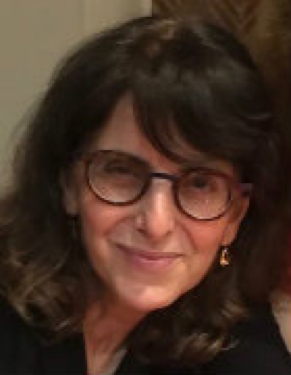 12:30 p.m. 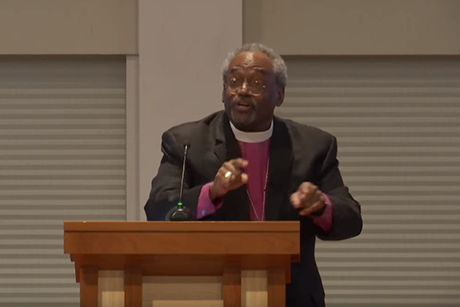 Lunch for Presiding Bishop, convocation clergy and spouses. 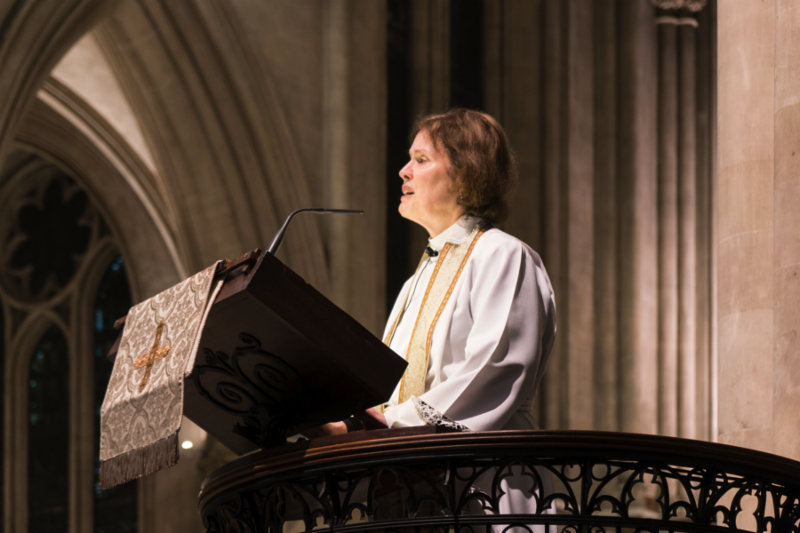 6:30 – 8:30 p.m. Farewell and Welcome Celebration for Bishop and Bishop-elect. 1:30 p.m. Stand-up light reception lunch. 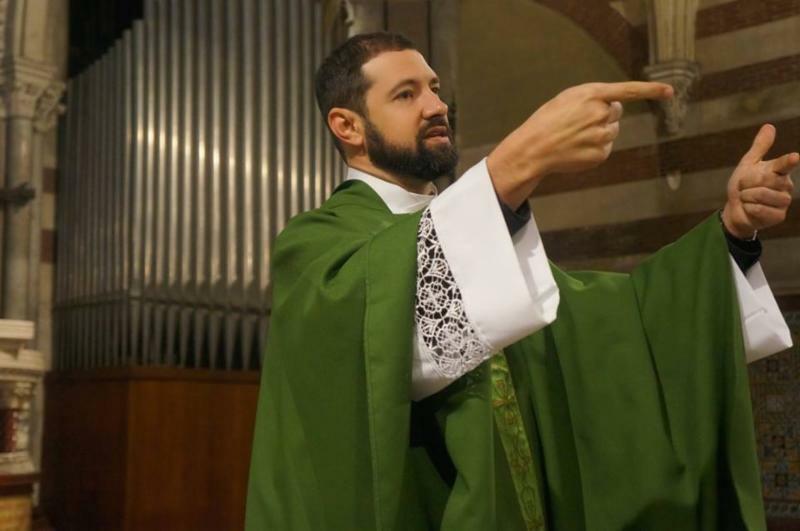 A new Bishop requires many items to fulfil his duties in various liturgical settings – crozier, pectoral cross, ring and several different articles and colors of vestments. Historically these are given as gifts from institutions and individuals. 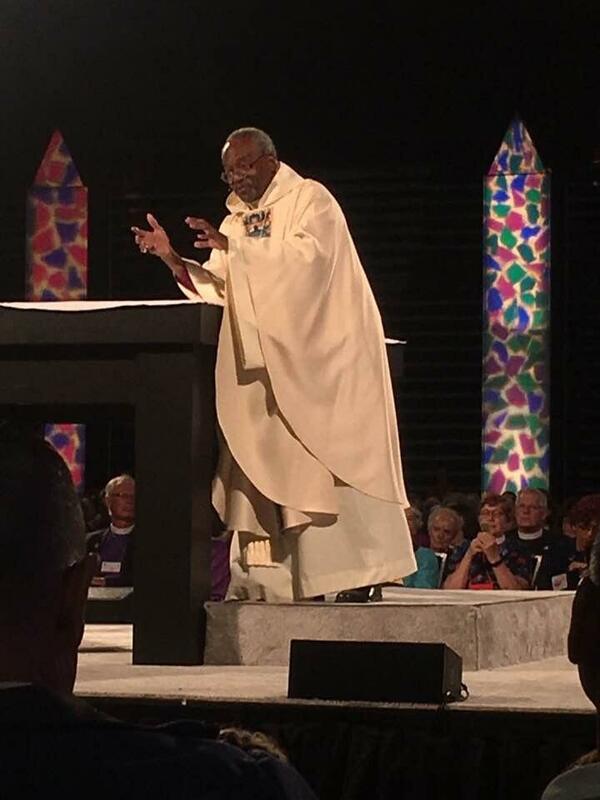 In Mark’s case the Presiding Bishop, Mark’s diocese and parish, and his family and friends have offered many items and only some of the vestments remain to be purchased. The vestries of most of our Convocation congregations are organizing a donation in the name of the congregation as a whole. Please check with your rector/vicar/local coordinator about how and when this is happening. Individuals are also welcome to donate. If you are part of a parish or mission, your congregation will pool these gifts from all the Convocation congregations to purchase the missing items. If not, and you are interested in contributing, please contact nancyjanin@gmail.com for details. 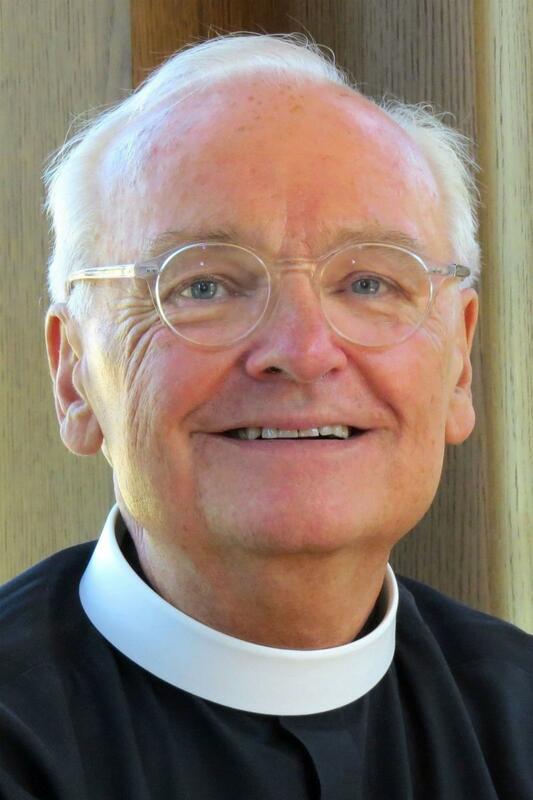 I hope you will all encourage your congregations, individual members and friends of Bishop Whalon and of the Convocation to give to the fund. It really IS a gift for ourselves as well as in honor of Bishop Pierre. A great way to help people get the idea of what it’s about is the short video which Felicity Handford and Christof Herpel put together. PLEASE TRY TO SHOW IT at your AGM and to your vestries or other boards — it is UNDER 3 MINUTES long! I’ve been asked what the suggested amount is for each person to give. I suggest that you think of one ‘arts-related’ activity you enjoy and give the equivalent of participating in that event one time. For example, I go to the opera at the cinema. My ticket costs @ €20 and I get dinner before and ice-cream at intermission. So my total for the event is €45 and that would be my suggested contribution. Someone else might make a trip to a museum, which would cost 20 all-together, and someone else might go to real-live opera, which would be over 100. You get the idea… If everyone in the Convocation gave the amount of one arts experience we would have a total big enough to invest and use the fund income to provide lots of great arts-evangelism throughout the convocation for the future. 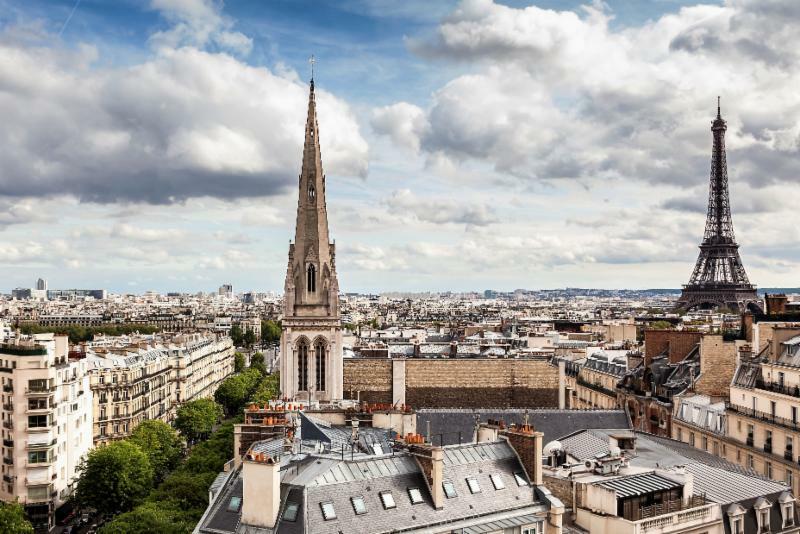 April 5: Farewell and Welcome Celebration at the Cathedral in Paris at 6:30 p.m.
April 6: Ordination and Consecration of the new Bishop in Charge at the Cathedral in Paris at 11:00 a.m.
April 7: Presiding Bishop preaching at the Cathedral in Paris at 11:00 a.m.